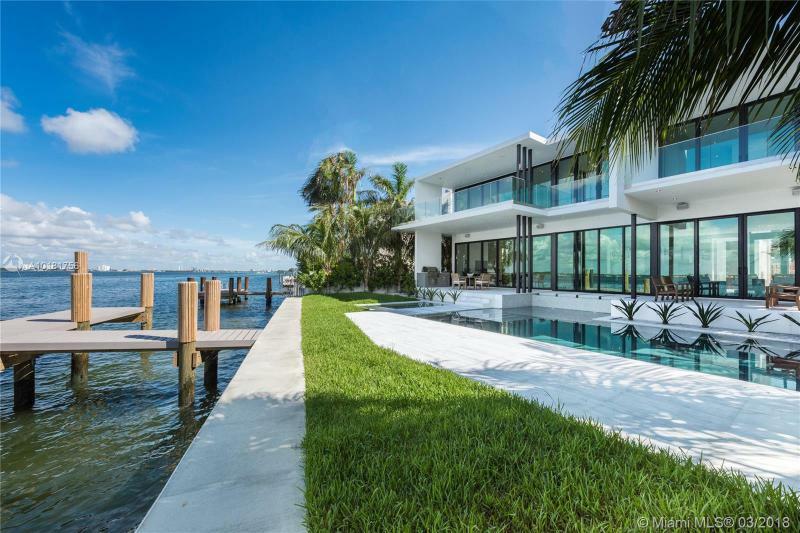 Perfectly positioned in the prestigious and private Gables Estates, this sophisticated timeless style estate commands 200 waterfront ft. With front and back water-views, volume ceilings, five bedrooms, 6 bathrooms plus one guest bath. Formal living and dining areas. Gourmet kitchen. Finishes throughout includes marble floor in living areas and wood floors in bedrooms. Covered patio, great for entertaining. Two car garage. Private dock with direct ocean access. Beautiful modern home with art deco styling on Venetian Islands. Brand new kitchen, open living area with wide bay views. Four bedroom, four and half bath plus gym and office. New roof and impact windows. 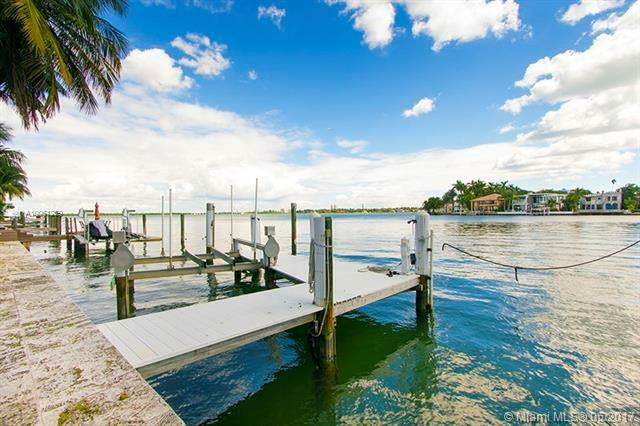 Wide bay views to the east and 90 feet on water. Picture windows showcase the pool and lush landscaping. 2 car garage. Easy to show. Impressive ultra-modern masterpiece on the wide bay, across the Golf Course. Open floor plan w/ 11 ft ceilings & living/family/dining room with wall to wall Italian frameless glass doors exposing spectacular water views in every corner. Open Poliform kitchen w/ island, wine cellar, SubZero & Miele appl., Calacatta & wood floors, floating stairway w/ glass railings, elevator. Upstairs, luxe master w/ expansive terrace & closets. Large pool & summer kitchen. Completion 3/17. Enjoy unparalleled and direct Miami Skyline views, minutes from the beach and Lincoln Road. Renovate the existing home, build your dream home or invest for the future.